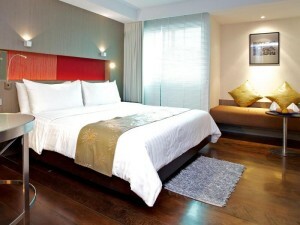 Citrus Sukhumvit 22 is a conveniently located four star hotel near the beginning of Sukhumvit Soi 22. The hotel is surrounded by Sukhumvit Soi 22’s popular beer bars, restaurants and nightclubs, making it a very convenient choice for people that want to go out on Soi 22. It’s also possible to walk to Soi Cowboy in 5-10 minutes. Rooms are clean and modern and come equipped with free Wi-Fi. 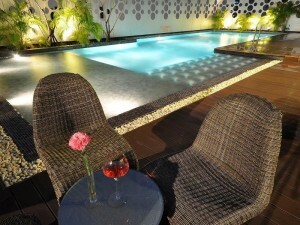 The hotel has a sleek and modern swimming pool that’s great for cooling off after a day looking around Bangkok.